Acting Editor’s comment; Read the following SMH article about happenings at the other end of the Waterfall Way and ask yourself the following questions: – (1) Could it happen in the Coffs Harbour , Bellingen and Nambucca Councils? (2) What does it mean for a Councillor defeated on a contentious vote, can they can publicly campaign against it come election time? (3) Is this the thin end or the fat end of the wedge? Local politics is famous for its skirmishes between councillors. The elected body is often a mixed bag of politicians from different political persuasions, and vigorous disputes over policy frequently spill from the council chamber into the media. When, in 2016, the NSW government moved to enshrine a new definition of the role of councillors into the Local Government Act, its critics warned the provision could have a stifling effect on political debate at council level. The provision required, among other things, that councillors perform their job responsibly and represent the interests of their community. Most contentious, however, was the requirement that councillors “uphold and represent accurately the policies and decisions of the governing body”. The chief critics, Labor and the Greens, argued the provision would be used to gag councillors who disagreed with the majority position adopted by council. They now say their concerns have been realised. In December, the recently-merged Armidale Regional Council unveiled its first draft media policy, which sought to impose a range of restrictions on councillors’ interaction with the media. Local Government minister Gabrielle Upton declined to comment directly on the policy, but in a statement to the Herald said “no council in NSW should seek to gag its councillors”. 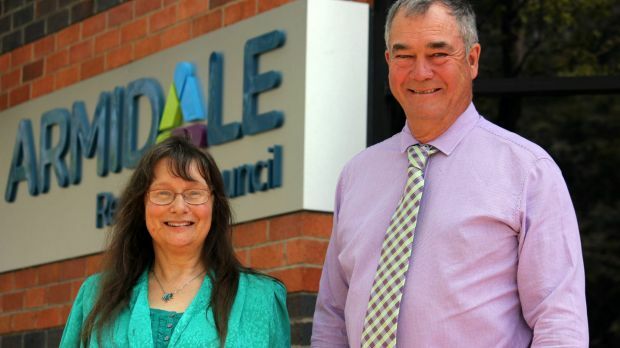 “While councillors are required to work together in the best interests of the community, they should be free to express their personal views,” Ms Upton said. However, Greens MP David Shoebridge said the policy was an inevitable consequence of state government’s legislative changes and, if implemented, would set a “dangerous precedent”. 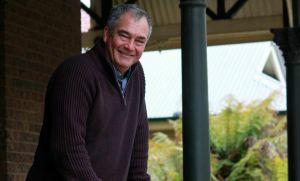 “The change was designed to silence dissent and now Armidale Regional Council has a draft policy that tries to do just that,” he said. Armidale mayor Simon Murray confirmed the policy was drafted to reflect the government’s new statutory requirement that councillors uphold the official decisions of council. “Otherwise people can always be ‘narking’ behind the scenes, objecting to a decision that has been previously made,” Cr Murray said. The intention behind the policy, he said, was to present a unified and professional front. Labor’s local government spokesman Peter Primrose said this outcome reflected a corporatisation of councils where, like companies, decisions are adopted at a board level and dissent is left in the boardroom. “If a majority makes a decision, that doesn’t mean the minority should be silenced and they can’t continue advocating their positions. Cr Murray is unlikely to secure the unanimous support of his colleagues when the policy is debated at the council’s first meeting of the year later this month. Deputy mayor Dorothy Robinson said it would also create obvious problems for accountability and transparency if councillors were prevented from publicly justifying their voting decisions. “Often issues will be discussed in the community after a meeting. How can councillors ‘support’ a decision they voted against?,” she said. First published in the Sydney Morning Herald – Friday 2 February, 2018.